A few people thought Phil and I were crazy for going right into speaking for a group of teenagers right after our marriage (don’t worry…we did take a mini moon to Cape May). But honestly I wouldn’t have changed it for the world. We had an absolutely amazing time and know that it was exactly where God wanted us. It seemed perfect too, since where we spoke is also where Phil and I met. Quick recap (incase you don’t know Our Story): Phil’s family is from Illinois, but has been coming out to Sandy Cove Retreat Center in Maryland for the last 8 or so years now. 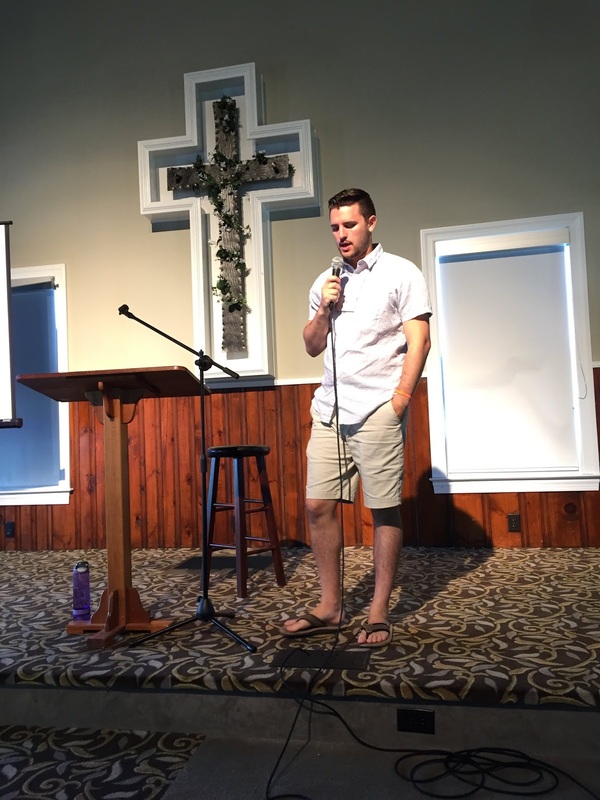 His dad is the family life coach at the first week of family camp and last year they asked Phil to speak for the Crosswalk group (junior and senior high). He spoke on ‘Making your faith your own’ and it must have gone pretty well, since he was asked back to speak again this year. And this year we got to speak as a team. We were so excited to have this opportunity, especially as God had put the topic on our hearts before we even knew we would be speaking for Crosswalk. We wanted to continue on where Phil had left off last year- After making the decision to make your faith your own and get serious about it, what is next? God led us to talking about calling and what is means to have a ‘Globally Mission-minded Worldview’ (I will talk about our topic more in a different blog…so stay tuned!). For awhile now I have had the desire to work with teens, but honestly had not had much of an opportunity in the past. When I did a summer internship with Urban Hope and got to work with incoming youth groups there on mission trips I a bsolutely loved it and ever since I’ve desired to work more with teenagers. But I was also nervous because I mostly have worked with younger kids and also have never spoken like this before so had no idea where it would go. Luckily, Phil is a natural and already really good at connecting with teens and working with teenagers and so I just followed his lead. And wow! Was I glad that I stepped out of my comfort zone. We had the opportunity to speak about topics that are very dear to my heart, get deeper in small groups, and just to listen and get to know the teenagers that we were working with. When I was in high school I went through some of the hardest situations in my life (up until this point) and I really struggled with my faith. I do not know what I would have done witho ut the people that spoke into my life, encouraged me, and just listened. I think for adults it’s sometimes easy to forget what it was like to be a teen. And it is a little different for each generation, but regardless the teenage years of some of the most pivotal in your entire life. You are discovering who you are for yourself, what you believe, and where your part in the world is. I definitely think teenagers aren’t given enough credit for what they have gone through, what they are learning, and what they are becoming. 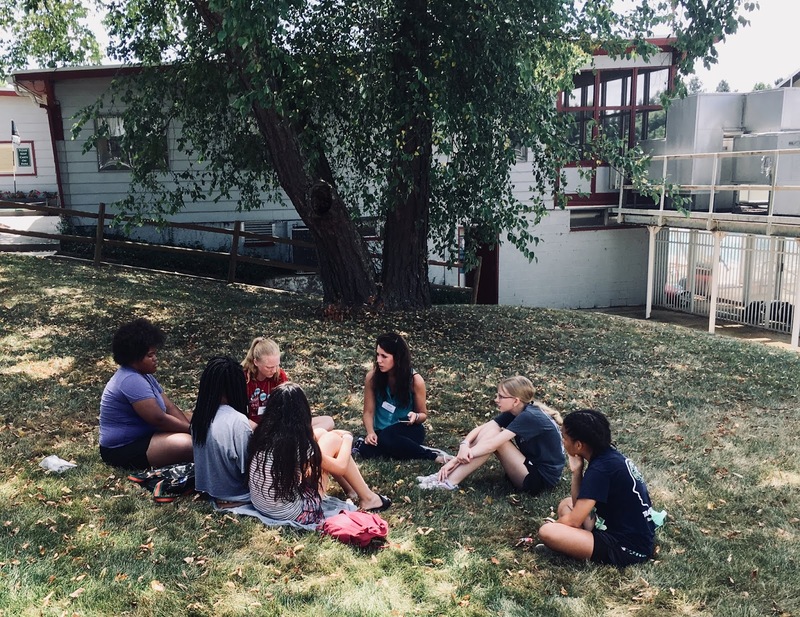 All of the teens we worked with were so wonderful and we discovered that even the ones we thought werent listening walked away telling other people (like parents, or leaders) who in turn told us things they heard and were processing. I continue to pray for everyone we worked with, the seeds that were planted, and the dreams and callings that are developing. Phil and I seriously cannot wait to have more opportunities to speak with teens and encourage them in their growth and faith and are currently praying about more ways to have ongoing involvement with them.